This is the first time I’ve ever actually made barbecue sauce. I always had visions of doing it because I love barbecue, but then would look at a recipe and see way too many ingredients. I used to sometimes buy Tessemae’s All Natural BBQ sauce, but sadly, can’t find it at the store anymore. Anyway, after my visit home to Michigan last month, I felt inspired to finally make my own sauce. One night, my mom decided to whip up some country style pork ribs for dinner and made an impromptu batch of homemade barbecue sauce, since there was nothing decent at the store. I don’t know all of what she put in hers other than a few things, but after seeing how easy it came together, I decided I wanted to make some too. I also had an urge to make the ribs on my own because they were delicious, so I kinda needed some sauce. 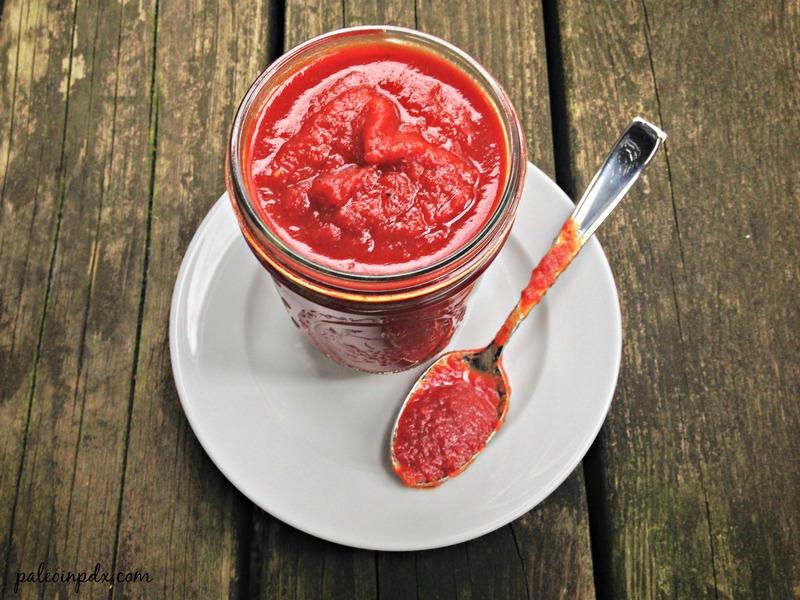 This barbecue sauce is great because it’s gluten-free, free of refined-sugars (it’s sweetened with raw honey), and easy to make. It’s also not as sweet as traditional barbecue sauces, but sweet enough. Stir all ingredients together in a medium saucepan. Bring to a simmer over medium-high heat. Then, reduce heat to medium-low and simmer uncovered for 20-25 minutes or until sauce has thickened, stirring occasionally. 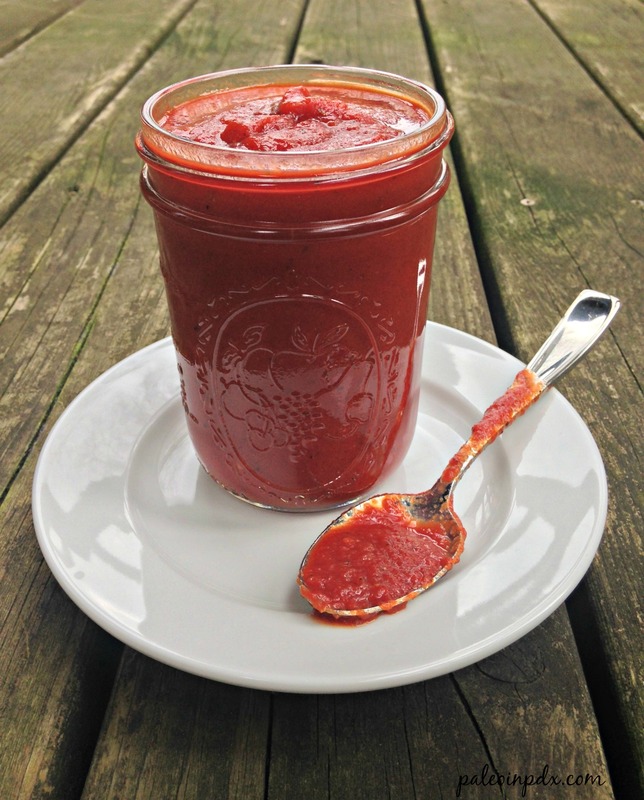 Use right away or store in a jar in the fridge for 1-2 weeks. Alternatively, you can also store it in the freezer. Previous Post: « Chicken and Italian Veggie "Rice"
This looks great! I used to make my own sauce but for some reason stopped. Looks like a good excuse to start again!